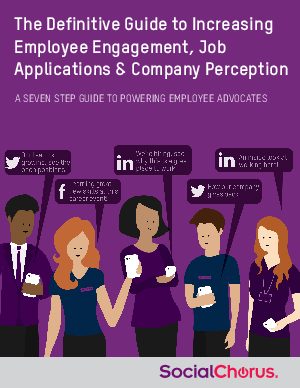 Leading brands across industries are launching Employee Advocate Marketing programs to increase employee engagement, job applications and company perception. But how do they drive these results? What are the steps they took to launch and maintain a successful employee Advocate Marketing program? Download this detailed guide and step-by-step checklist for everything you need to know to launch an employee Advocate Marketing program.